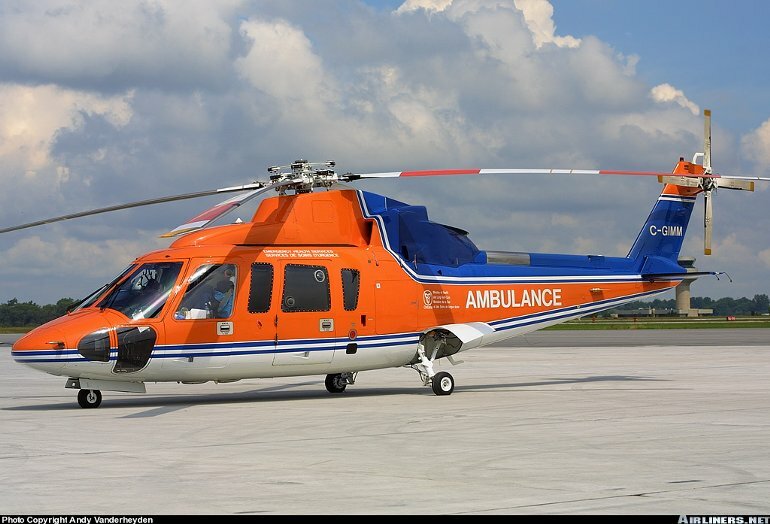 Sikorsky's S76 is a popular mid size corporate and oil rig support helicopter. Sikorsky began development work on the S76 (for a time named Spirit) in the mid 1970s and used technologies and experience gained from the military S70 Black Hawk program. The resulting S-76A was powered by two Allison 250C30S turboshafts and could seat 12. First flight was on March 13 1977 and FAA certification was awarded in November 1978. The first improved model was the S76 Mark II (introduced in March 1982) with more powerful Allison engines and 40 detail refinements. The S76B is powered by two Pratt & Whitney Canada PT6B36s (the 101st and last B was due to be delivered in December 1998), while the S76C is powered by two Turboméca Arriel 1S1 engines. The S76A+ designation covers undelivered S76As subsequently fitted and delivered with Arriel engines, and S76As converted to Arriel power. Current production is of the S76C+ with 18% more powerful FADEC equipped Arriel 2S1 engines. Certification of the C+ was awarded in mid 1996. Forthcoming improvements include composite blades, a quiet tail rotor with curved blades, an active noise and vibration control system, and an advanced health and usage monitoring system. 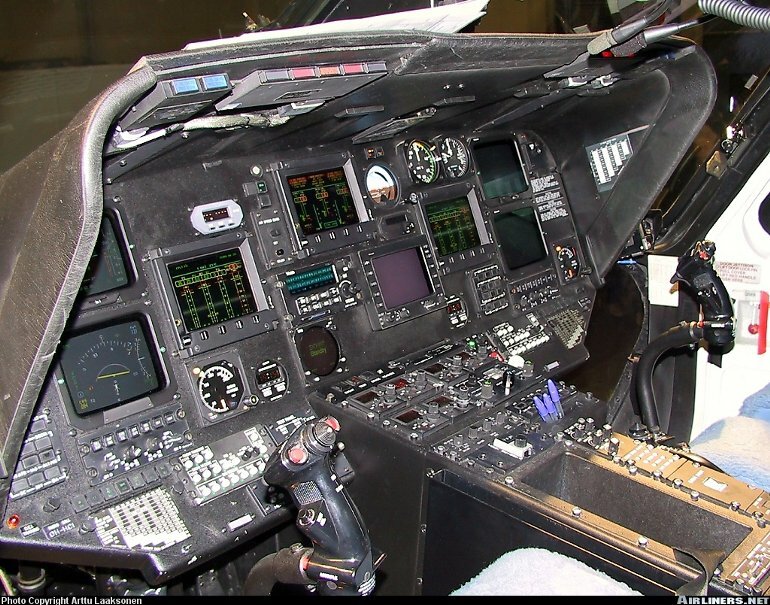 A three LCD screen integrated instrument display system (IIDS) for engine and rotor information is now standard, supplementing the four screen Honeywell EFIS suite. S76 Mk II - Two 485kW (650shp) takeoff rated Allison 250C30S turboshafts driving four blade main and tail rotors. S76C+ - Two 638kW (856shp) takeoff rated Turboméca Arriel 2S1s. S76 Mk II - Max cruising speed 287km/h (155kt), long range cruising speed 232km/h (125kt). Initial rate of climb 1350ft/min. Service ceiling 15,000ft. Range with 12 passengers, standard fuel and reserves 748km (404nm), with eight passengers, auxiliary fuel and reserves 1112km (600nm). S76C+ - Max speed 287km/h (155kt), cruising speed 269km/h (145kt). Initial rate of climb 1625ft/min. Hovering ceiling out of ground effect 1800ft. Range at 259km/h (140kt) with reserves 813km (439nm). S76 Mk II - Empty (standard equipment) 2540kg (5600lb), max takeoff 4672kg (10,300lb). S76C+ - Empty (executive configuration) 3691kg (8138lb), max takeoff 5307kg (11,700lb). Main rotor diameter 13.41m (44ft 0in), length overall 16.00m (52ft 6in), fuselage length 13.22m (43ft 4in), height overall 4.41m (14ft 6in). Main rotor disc area 141.3m2 (1520.5sq ft). Flightcrew of two. 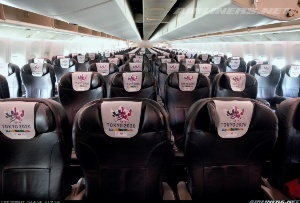 Max seating for 12 or 13 passengers at 79cm (31in) pitch in oil rig support aircraft. 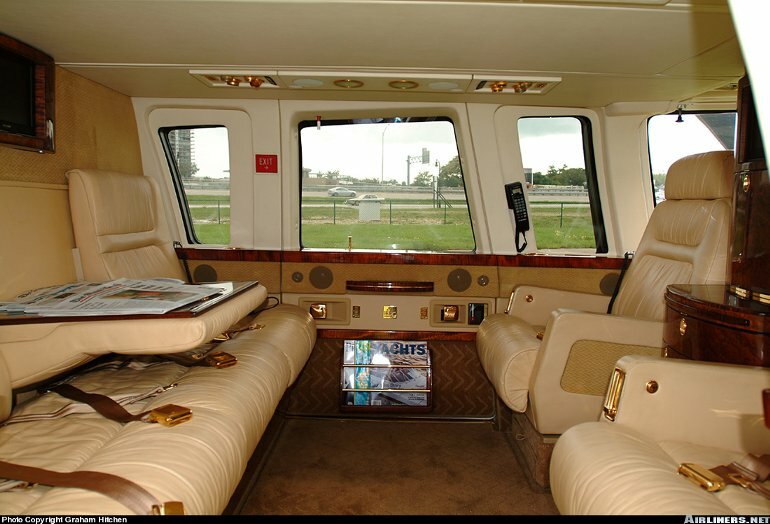 VIP configurations offered in six or eight passenger seat form. EMS configured aircraft accommodate one or two stretchers and four medical attendants. Total S76 production in late 1998 of approximately 480, comprising 284 S76As, 101 S76Bs, 17 S76A+, 43 S76Cs and 35 S-76C+s. Over 70 S76As converted to S76A+ standard.